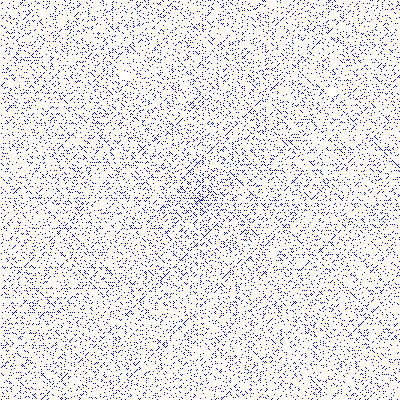 The Ulam spiral with 400 by 400 pixesl. I have updated plot2gp. It now supports histogram plots. I have also fixed some minor issues. I’ve just created a new project, which takes a Octave/Matlab figure and produces a LaTeX+gnuplot plot from it. The program can be found in the Projects category. Feel free to contact me for improvements or comments. LaTeX Error: Command \etalchar already defined. Sure, I wanted to report that bug but it is not obvious where to report? Added a short overview/description in the Projects area of a symmetric power supply, which I finished lately. There are some updates to the Projects area. I have included some (not all) electronic projects, which I have created over the last years. Most of the ideas for the different schematics where collected from the net. The PCBs where created utilizing the direct toner method. All schematics and PCBs where created with Kicad. today i‘ve updated to WP 3.4.2. Everything works fine so far. today i’ve updated to WP 3.2.1. Hopefully everything works fine. Yesterday was a bad day for me. I did a really stupid thing. Never ever mount your (web)server with root permissions under nautilus (with SSH) in your local home directory and chmod at the same time recursively your home. Guess what happens?! It will automatically chmod all your files on your (web)server too! Remember being root there. So, to make a long story short: I had to reinstall the whole thing after the nice people from vlinux.de did a fresh install of the virtual server. Luckily i could backup all the important data like the mysql-database or the emails. Maybe this is a good chance to try a different web-server, like cherokee? Lets see, if i can get everything back running as it was before. today i needed to re-install syscp, since it got lost from the last upgrade. By doing so, courier and postfix also got removed and instead dovecot was installes. Dovecot additionally fixed my login problems which i had with courier-imap and german umlauts. It also seems to be faster and lighter then courer?